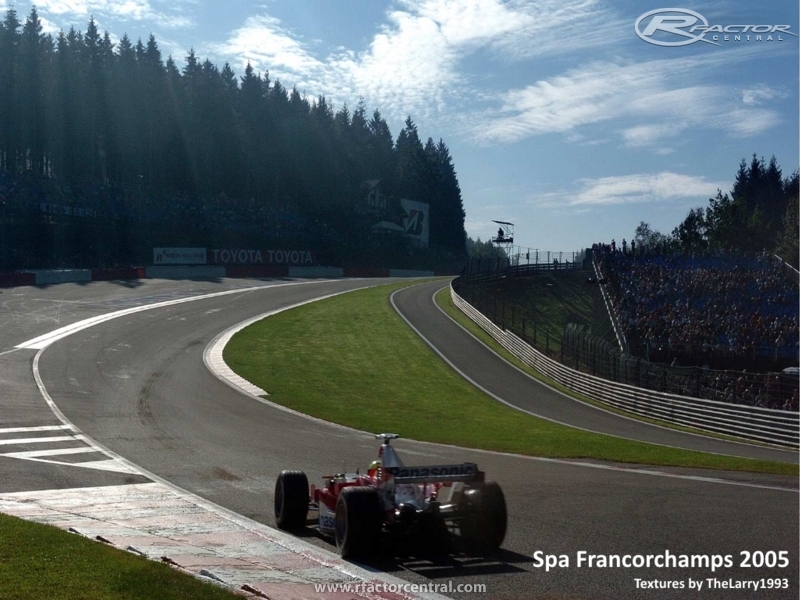 This is the Spa Francorchamps track with the Bustop Chicane of 2004 and 2005, converted from GTR2 (not by me). Textures were updated to 2005 by myself. I do not own any of the taken tracks and I do not intend to use this for commercial purposes! There are currently no setups for Spa Francorchamps 2005. Add a Setup.